Tucked underneath the Santa Monica Pier, Big Dean’s Ocean Front Cafe has long been a favorite watering hole with locals and the beach crowd, and has remained largely untouched since the 1970s. 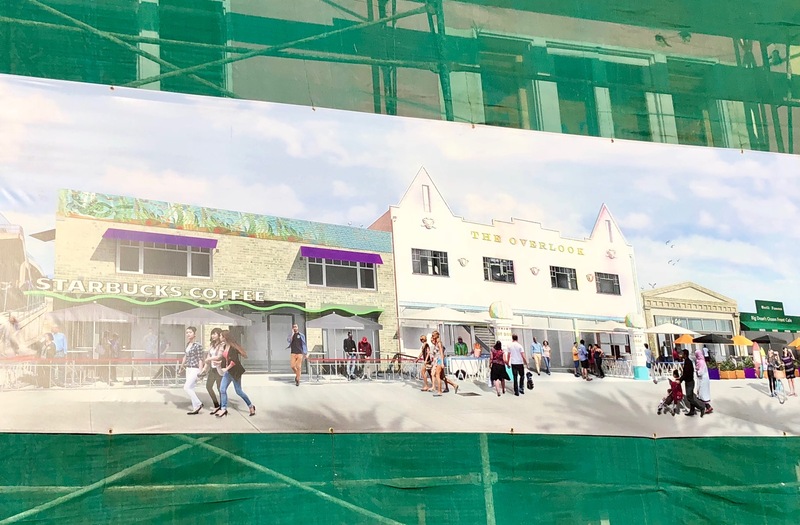 But that’s all about to change… According to a spokesperson, they are expanding into the space just to the north, adding more patio, bar, and kitchen space. And at the other end of the building, a brand new Starbucks is moving in, bringing a much different vibe to this little hidden corner of Santa Monica. Check out the artist’s rendering below to get a taste of how things will look. This entry was posted in News and tagged Big Dean's Ocean Front Cafe, Downtown Santa Monica, Santa Monica, Starbucks, The Santa Monica Pier by toddrickallen. Bookmark the permalink.